Pierce grew his career as a software engineer for over 27 years working for Fortune 1000 companies including Fidelity Investments, Electronic Data Systems, and General Motors. 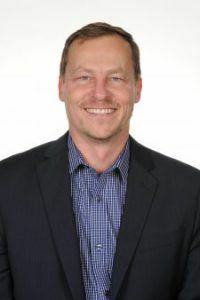 After ten years as eCommerce Architect for Neiman Marcus in the 2000’s, he continued his career as a Consultant for several years with Credera, a nationally recognized Business and IT consulting firm. After meeting his then-to-be husband, Cody Ables, and having many long discussions with co-founders Cody and David, Pierce joined CODARUS in 2013 with the charge of leading the growing company into a new era of growth and defining new operating procedures and growth strategies that the ten year old CODARUS had outgrown. Pierce’s prior experience in luxury eCommerce and business consulting have been instrumental to this end. Pierce and his husband Cody have three dogs that go with them almost everywhere, and they both enjoy visiting our enjoy national parks, pursuing interests in design and technology, spending time with family in Central and West Texas, and working together with their extended CODARUS family around the country.